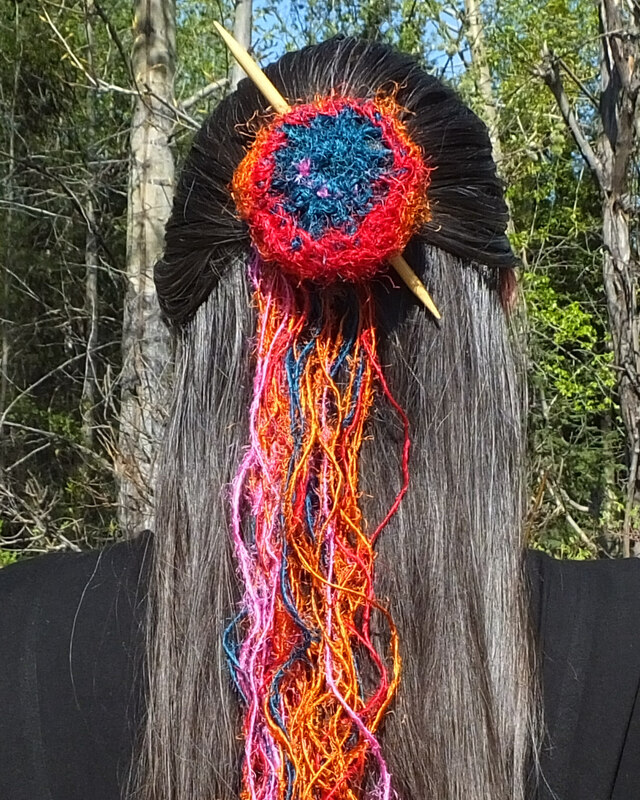 I'm so wild for this yarn, and the long bohemian fringe of it hanging from this bun cover. The bun cover is actually made in 2 parts. The cover is one, and the fall is the other, so you can wear it without the fall. 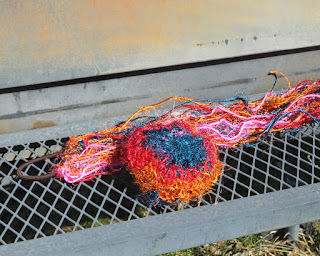 The yarn is Darn Good Yarn's Recycled Photon Rainbow Sport Weight Silk Yarn. repeat ** means repeat the instructions between the asterisks. 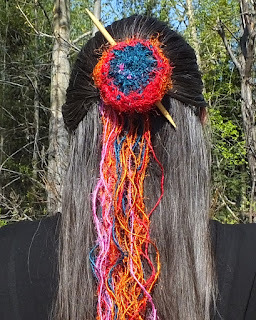 Round 6- Hold hair elastic against the last round, and single crochet over the hair elastic into the stitches on the last round to encase and attach the elastic. Sc in each stitch around, sl st to join. Break off, weave in ends. 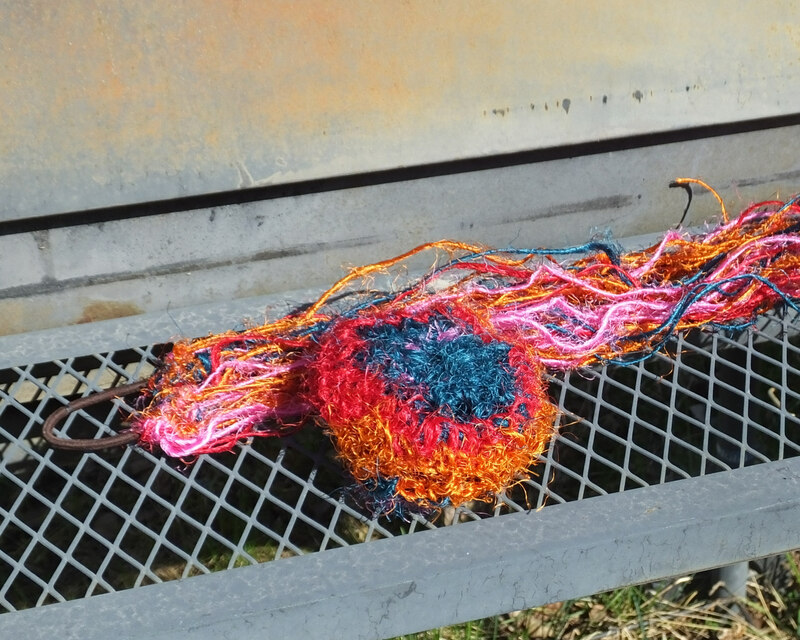 Cut 18 lengths of yarn twice as long + 2 inches as you want the fall to be. Working with 2 strands at a time, pull them through the other elastic and tie in overhand knot close to the elastic. To wear it, you make your bun- I just twist a section of hair up and hold it in place while slipping the bun cover over, then hold the bun cover in place while putting the fall over it. 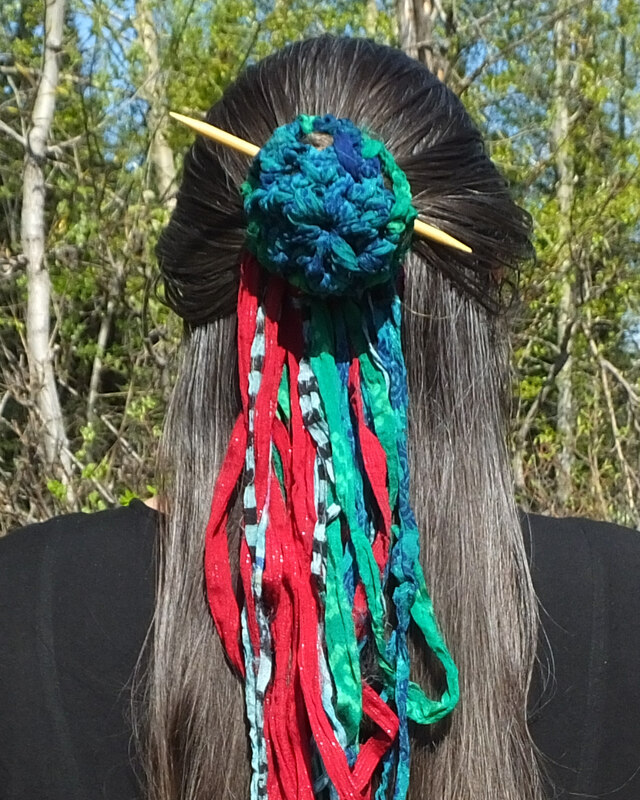 Slip a nice hair stick through weaving it into your bun to lock it into position.